This is the remarkable true story of the events that led to the development in September 1963 of a 50 Watt RMS Audio Amplifier with the distinctive distortion that became known world wide as the “Marshall sound”. It was created by Dudley Craven at home, in his garden shed that also served as a Ham Radio base. Dudley tinkered with his radio equipment and built amplifiers in the evenings while working as an engineering apprentice at EMI Electronics during the day. Co-developers of the first prototypes were Ken Bran, a Pan Am radio mechanic, who constructed the component tag boards and Ken Underwood, an EMI apprentice, who mounted the hardware onto the chassis. Prototype #6 which became the first production model was launched in September 1963. Jim stocked the first amplifiers in his Hanwell shop with the designation JTM45 – for Jim and Terry Marshall – and the first one was purchased by Pete Townsend for £110. Dudley’s genius produced the breakthrough sound the rock bands had been asking for… and his reward was a commission of 10/- (50p) on the sale of each finished amplifier. It wasn’t until July 1964 that Jim Marshall persuaded Dudley to leave EMI Electronics and work for him so that production could continue under the Marshall banner. While the Marshall organization made their millions primarily from the development of “the Marshall sound”, many of the facts surrounding Dudley’s contribution have become as distorted as the output from a Marshall amp. 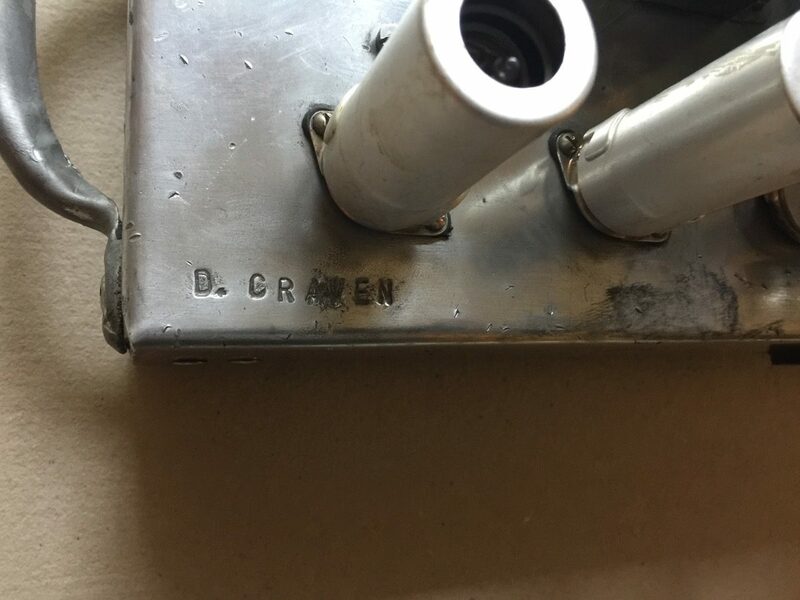 At sixteen, Dudley Craven was already known as an electronics genius. He graduated from Townfield Secondary School in December 1959 with Royal Society of Arts (RSA) certificates in science and technical drawing. but his circuitry design and build abilities were already light years ahead of any formal certification. He was employed by EMI Electronics as an apprentice in the Engineering, Wiring and Equipment Maintenance training shops. In the Wiring Shop he was working on Airborne Radar and Surveillance equipment at the same time that I joined EMI as a secretary in the Airborne Radar Division. There were always apprentices milling around the department and I had no idea that one of them was my future husband. While working at EMI, Dudley was attending Southall Technical College part time, obtaining City and Guilds certificates in Radio/TV and electronics servicing. 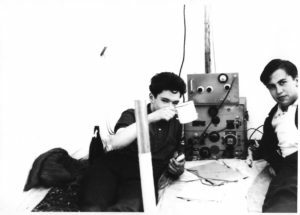 Apart from designing and building electronics, his main interests were amateur radio, piloting gliders (and later ultra light planes) and folk music. He liked to hang out in folk music clubs and had a ukelele banjo that he learned to play, although not very well. Rock bands were in their infancy in the early sixties and the local bands of the era, in and around West London, found that the amps made by the likes of VOX, Selmer and Fender were somewhat flat and lacked the sound and the punch that the music scene at that time wanted. The loudest voice in all of this was Pete Townsend, then of the High Numbers and subsequently The Who. All of this was discussed in Jim Marshall’s shop in Hanwell, mainly at week ends when there was a gathering of local musicians all comparing notes on the music scene. Ken Bran knew Jim as he had done some repairs on amps for him around that time. 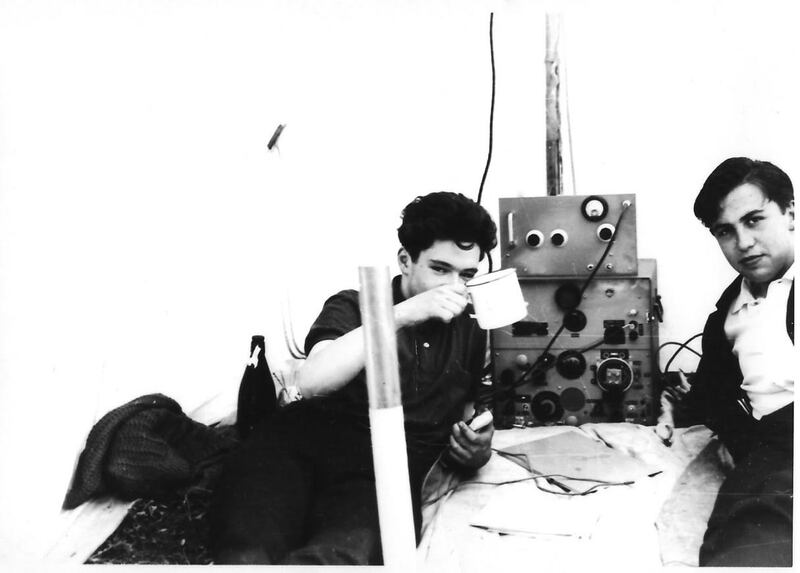 Dudley qualified for an Amateur Radio license in February 1962. He got to know Ken Bran and Ken Underwood, who were both newly licensed radio amateurs, at the Greenford Radio Club Friday night meetings in 1963. Most weeks Dudley, Ken and Ken after the club meeting went on to the Wimpy Bar in Ealing Broadway for a coffee. Ken Bran had mentioned the discussions with Jim about the local bands and their sound issues, and suggested that they could develop an amp that would fill the needs – and make some extra cash at the same time. In the next few months work got underway in back garden sheds – Ken Underwood in Hayes and Ken Bran in Heston. 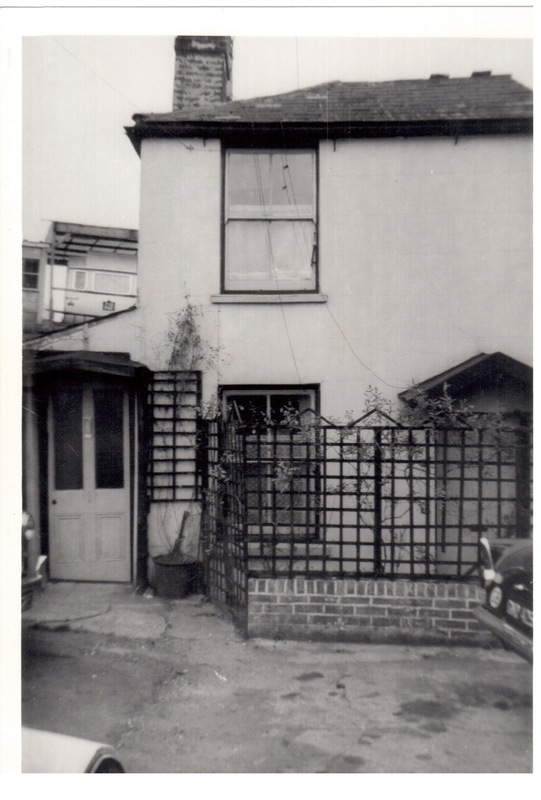 Dudley lived with his Dad in Hanwell on the banks of the river Brent, at 202C Uxbridge Road, just down the hill from Marshall’s shop. The house, originally part of a pig farm that was built in the 18th century, had outdoor plumbing, open fireplaces and a crumbling chimney on the roof that barely supported Dudley’s quad antenna. 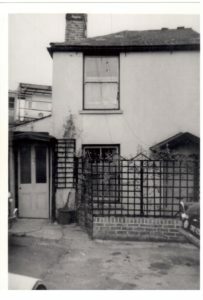 The small workshop which served as a Ham Radio Base as well as a garden shed was tucked behind the house, next to the coal cellar. It was agreed that Ken Underwood would mount all the hardware onto the chassis, Ken Bran would construct the Component tag boards and Dudley would connect everything else and do the final test. The first valves that Dudley tried were 6V6s as used by Fender, but he wasn’t happy with the result. He then went on to 6L6s, which were a lot better. The very first amp used this valve line up as the output pair along with the ECC82/3 preamp valves and the GZ34 high voltage rectifier valve. It was the 6L6s that made what they called today the true Marshall sound. This was down to Dudley’s experiment driving the amp into distortion, deliberately of course. Dudley spent many hours on the first prototype to get it just right for the current music scene. He worked far into the night and many times he could be found fast asleep at his work bench. The final test was made in September 1963 on a Sunday night at the Ealing club with the resident band. The group was made up of several local band members who visited Jim’s shop at week ends. One of them was Jim’s son Terry Marshall on sax, along with Mitch Mitchell who went on to play with the Jimi Hendrix Experience – who better to give it their seal of approval. The amp that received its final test at the Ealing club that Sunday night went into Jim`s shop the very next morning and was snapped up within minutes by Pete Townsend for £110. After a couple of weeks into production the 6L6s were replaced with EL34s, being a direct equivalent but higher output and much more rugged. KT66s were used after the EL34s and the KT88s came along much later in about 1965/6. 45 watts is what the first amps output would have been, but once all the valve changes took place it was more like 50 watts. After that everyone wanted more power and that’s when the KT88s were used, these being a much more powerful valve delivering 100 watts as opposed to 50 watts.